Agari, Wakasa, Mikatakaminaka District, Fukui, Japan. * New photo photospecial page: Ginkgo tree, 1808, with chichi. Kraków, Botanic Garden of Jagiellonian University. 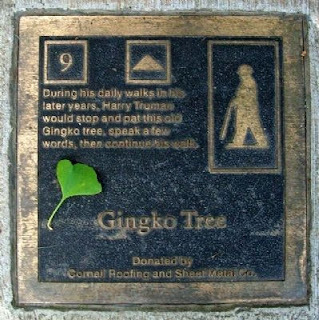 * New topic: Washington Ginkgo mistakenly cut down. Time-lapse video of one of the tallest Ginkgo trees in Japan, Sarukawa no ichou, 50 m, girth 11.2 m, about 1,000 years, female. Video by 大谷 憲史 on YouTube. 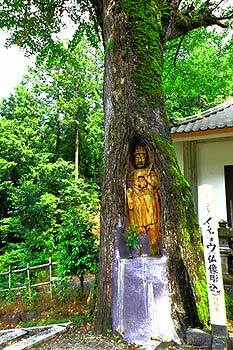 Photos on my website: photopage of Japan. 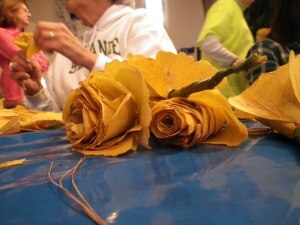 "Each of the hundreds of yellow roses adorning the chapel comes from the work of volunteers-students, professors, and community members, meticulously molding the fallen ginkgo leaves collected over the course of the week into a new floral form. 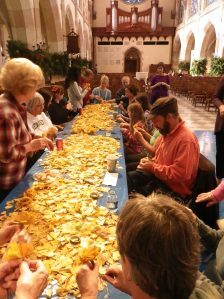 ....And so, if you attend Lessons and Carols this weekend, try not to be completely mesmerized by the beauty of the choral program or awestruck by the sight of All Saints bathed in candlelight, but take the time to notice the greenery, especially those dashes of yellow given off by the ginkgo roses." More photos and info on Sewanee Herbarium's website. Video on YouTube: Ginkgo 銀杏 photographed by Sue Hsu. 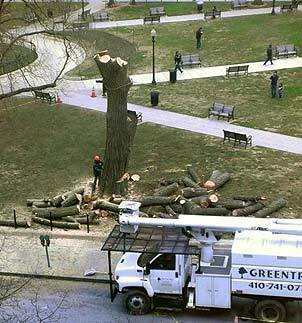 A historic Ginkgo tree, the largest Ginkgo in Washington, was mistakenly cut down. 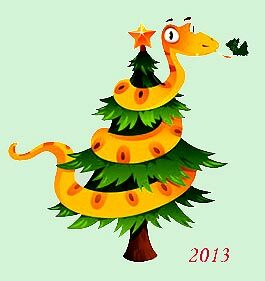 The male tree was 102 feet tall, with a crown spread of 79 feet and trunk circumference of 142 inches. The National Park Service said the contractor was supposed to cut down a dead ash tree on the other side of the park. There was nothing wrong with the Ginkgo. Historian Jonathan Pliska wrote the Ginkgo was probably planted in 1873 or earlier and been incorporated into the design of the square, which honors Adm. David Glasgow Farragut. Read more in this column by John Kelly in the Washington Post . In November 2013 an artwork was created round the stump of this tree. Also a young Ginkgo tree was planted on Farragut Square. Read more on my blogpost of December 6, 2013. * New: Follow me on Twitter: updates website and blog + tweets related to the Ginkgo tree. The Ginkgo Leaf Bench created by Manolis Anastasakis for the city of Seoul. 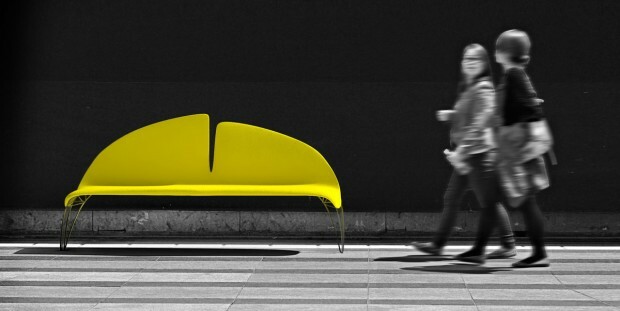 This urban bench was Anastasakis proposal for Seoul’s Public Design Competition, where it was honored with a Gold Medal Award. The international Design Competition was an initiative of The Seoul Metropolitan Government with support of UNESCO. The goal of the competition was to gather proposals of various public urban elements as an effort to make Seoul, an UNESCO City of Design, an attractive place to visit, work, live and invest. * Added video of name calligrapy on Name-page. Ginkgo Avenue in Tokyo in fall. Both sides of the sidewalk on both sides of this 300-meter avenue are lined with Ginkgo trees. Video by hanazakurasakura on YouTube.